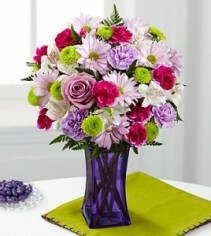 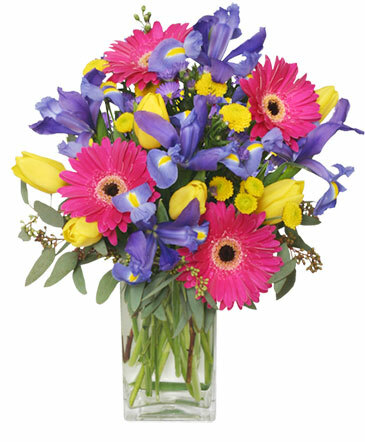 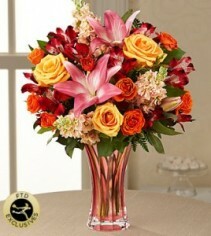 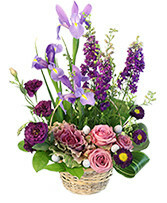 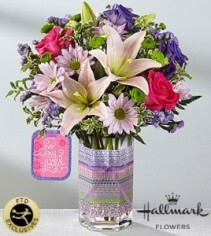 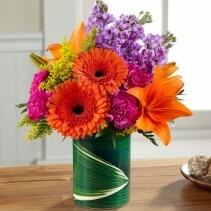 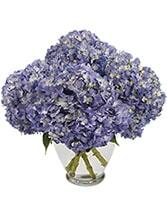 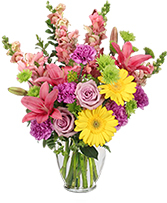 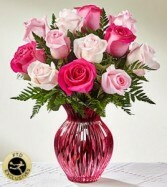 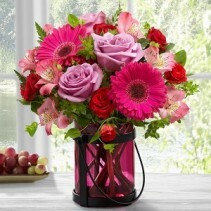 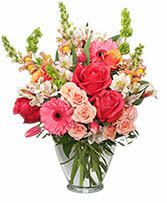 Call Flowers By Michael and send flowers with feelings that come straight from the heart. Make someone's day more memorable with this charming basket of pink lilies, roses, alstroemeria, carnations and freesia. Keepsake vase valued at $16.50 included in price. 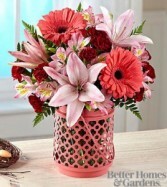 Better Homes and Gardens container valued at $15.50 included in price. Green ceramic cylinder vase with a modern hexagon pattern valued at $14.50 included in price. 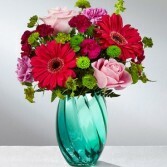 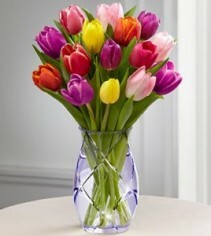 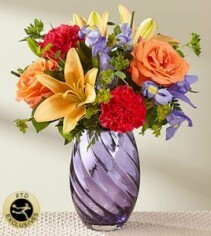 Better Homes and Gardens vase valued at $14.50 included in price. 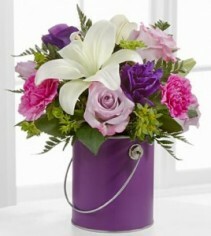 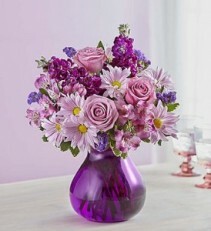 Purple paint can inspired vase valued at $9.00 included in price. 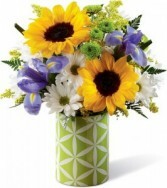 Keepsake yellow ceramic vase with a sweet cut-out design valued at $12.75 included in price. 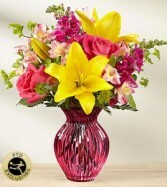 Hot pink glass vase valued at $9.00 included in price. 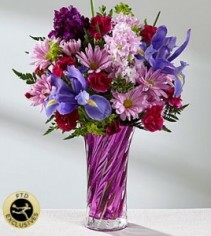 Keepsake blushing glass vase valued at $15.50 included in price. Keepsake purple vase valued at $11.00 included in price. 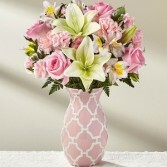 Arranged in a pink glass lantern inspired vase valued at $15.50, which is included in price.